Lambda Technologies has mastered the technique of engineering compression to eliminate the risk of crack propagation from environmental or stress corrosion cracking. 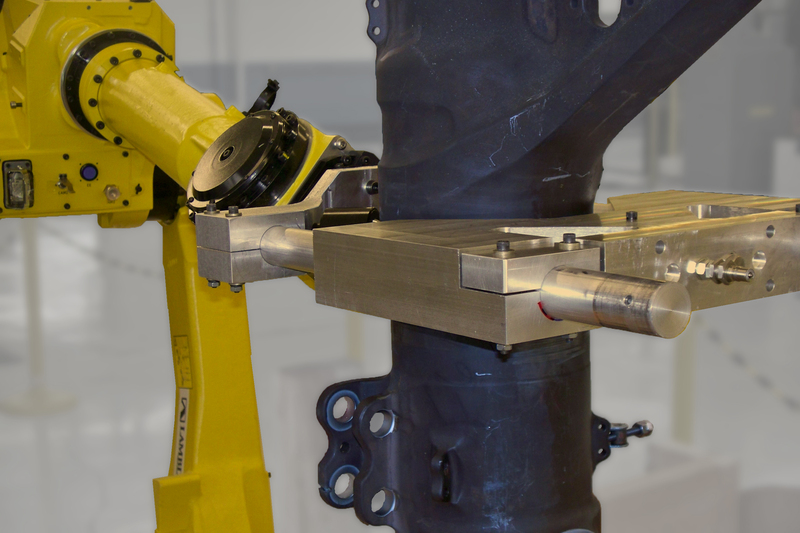 Using low plasticity burnishing (LPB®), Lambda engineers apply a deep, stable layer of designed residual compression to the affected areas of components. By putting vulnerable areas in compression much deeper than the shallow cracks caused by stress corrosion cracking, cracks cannot propagate, eliminating the risk of failure. Stress corrosion cracking (SCC), or environmental cracking, causes either trans- or inter-granular cracking, potentially leading to component failure. 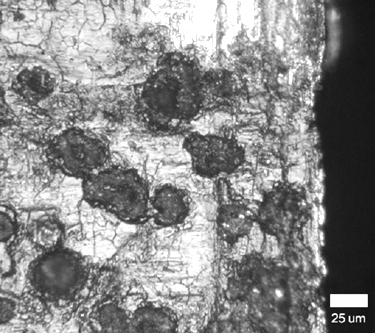 This occurs in susceptible alloy-environment combinations when static tensile stresses are present that exceed some threshold for SCC/environmental cracking initiation. SCC is a complex phenomenon not as yet fully understood. Mechanisms proposed include rapid crevice corrosion along grain boundaries and the wedging open of the cracks by oxide formation. This type of cracking is most common in high strength materials, such as high strength aluminum and steels. Unfortunately, stress corrosion cracking is common in environments like seawater, ocean air, sour wells or very low concentrations of dissolved oxygen and chlorine. Isolation and control of these environments is nearly impossible. Substitution of an “un-crackable” alloy is expensive, and projecting long-term performance with accelerated laboratory testing is difficult. Often the new alloy is again found to be cracked in service, and the substitution cycle is repeated. By introducing a deep layer of surface compression to eliminate tensile stresses in contact with the environment, cracks are completely arrested mechanically with minimal cost. LPB® has been demonstrated to completely eliminate stress corrosion cracking with or without sensitization. By introducing a deep layer of stable high compression, the surface of the susceptible alloy that is in contact with the aggressive environment remains entirely in compression, well below the tensile threshold required for SCC. As a result, stress corrosion cracking is completely mitigated. 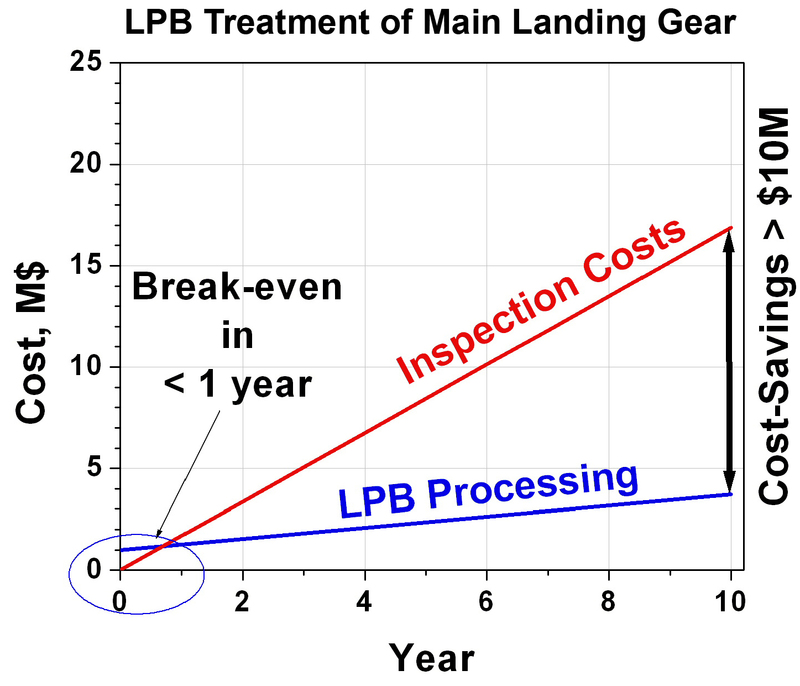 LPB® has been repeatedly demonstrated to hinder SCC and its cyclic variant corrosion fatigue. General corrosion continues, but the risk of catastrophic failure caused by SCC driven cracks can be completely eliminated. For a first-hand look at how Low Plasticity Burnishing can safely mitigate stress corrosion cracking, just contact us by phone at (800) 883-0851 or by email here.